Like many women before her have done, Kim Kardashian recently made a dramatic hair change, going from her familiar dark brown locks to platinum blonde. The initial change was done in one sitting, a six hour stint in the salon, and was maintained with three follow-up services in just one month’s time. The result was dry, damaged hair which sent Kim back to her dark roots shortly thereafter. But the damage was done. So what does Kim use to combat the damage done by harsh bleaching? Kim says she was introduced to Olaplex and has seen dramatic results since she started using it to improve her hair’s condition. 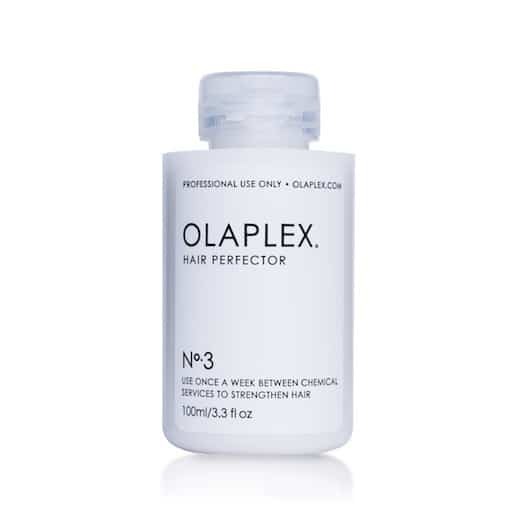 Although the general recommendation is to leave Olaplex on for ten minutes or longer, Kim says she sleeps with Olaplex No. 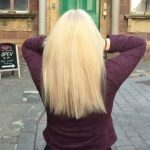 3 in her hair and is seeing stronger, healthier hair as a result! Remember, we always recommend that drastic changes like this or going from any color to platinum blonde, be done in a series of visits over a period of time with Olaplex treatments during and in-between services.